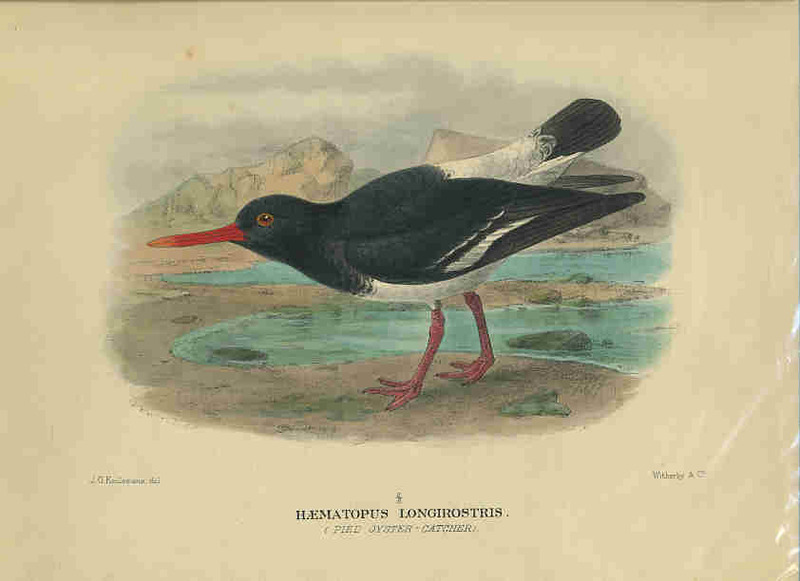 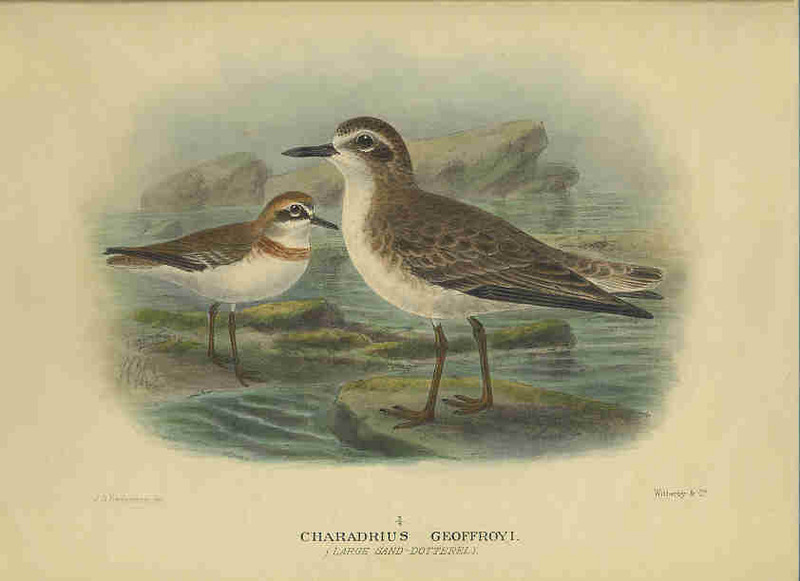 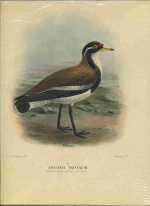 Selection of 6 lithographs featuring Large Sand Dotterel, Swamp Harrier, Little Quail, Little Black Cormorant, Banded Plover and Pied Oyster Catcher, all with letterpresses in excellent condition. 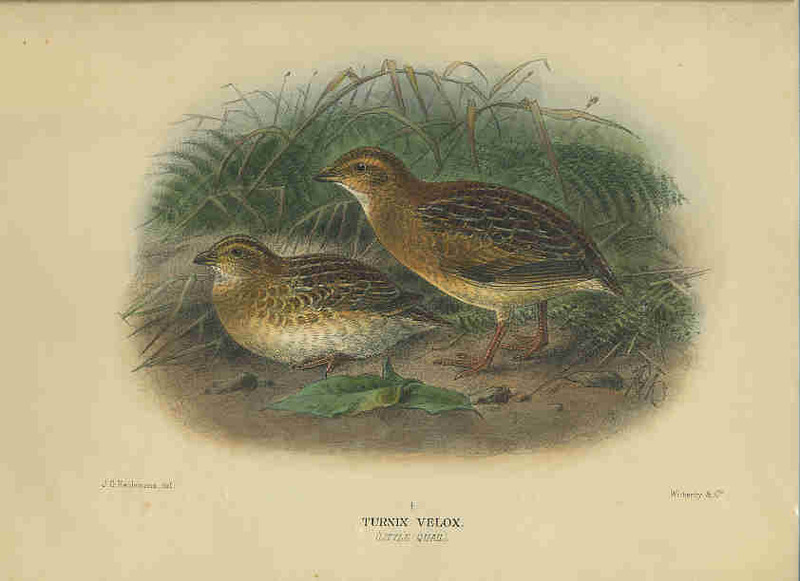 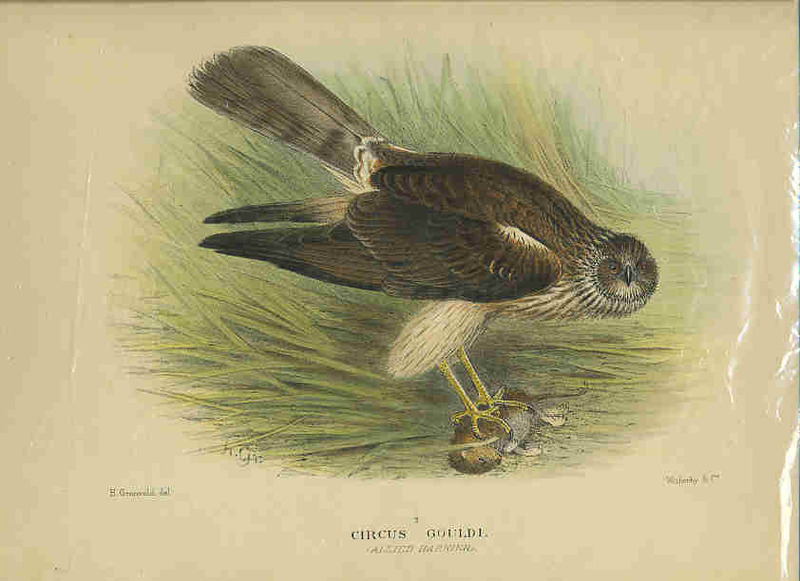 Selection of 4 lithographs featuring Red-Kneed Dotterel, Black-Breasted Quail, Scrub Fowl and Little Pied Cormorant, all with letterpresses except Black-Breasted Quail in excellent condition. 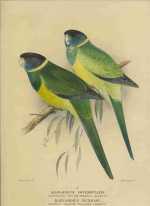 Selection of 7 uncoloured proofs featuring Woodswallows, Spiny-Cheeked Honeyeater, Spangled Drongo, Yellow Oriole and Black Grass-Wren lithographs in excellent condition. 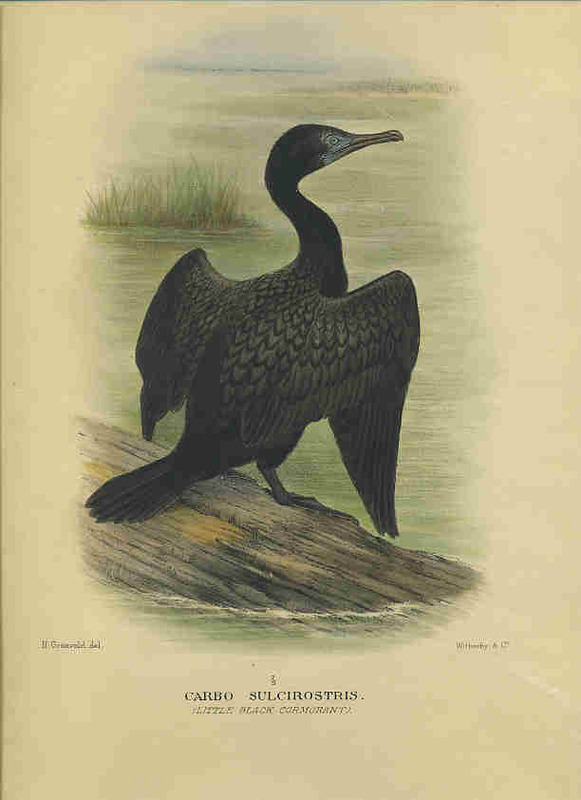 No letterpress. Yellow-Banded Parrot and Yellow-Collared Parrot without letterpress in excellent condition.